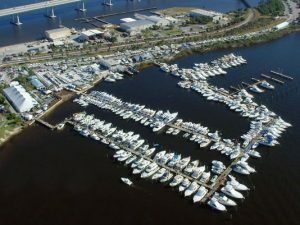 Come see some used yachts for sale at the 2017 Stuart Boat Show! : Atlantic Yacht & Ship, Inc.
We will have used yachts and hybrid yachts on display at the 2017 Stuart Boat Show. In the first place, the show starts this Friday, January 13th at 10am. Then the show will run through the weekend. We will have a variety of yachts on display ranging from used yachts to brand new hybrid boats. Furthermore, we will have fishing center consoles and a fishing boat with a small tower. The largest in our display this year is a 65′ Ocean yacht 2003. This yacht has an enclosed fly bridge to make for comfort while cruising. But that is just the beginning! At the 2017 Stuart Boat Show we will have brand new hybrid boats for sale. These are known as the Greenline boats. They are state-of-the-art and operate similarly to hybrid vehicles. In addition to the two new Greenline hybrids is a 44′ Brioni cruiser. Moreover we have a 2015 42′ Yellowfin. Yellowfin yachts are considered by many to be the highest quality center consoles available! Prices are $6 for children, $10 for veterans, and $12 for adults. The show runs from 10a-6p (5p on Sunday). For more information on our display at the 2017 Stuart Boat Show be sure to contact us today!